What are the negative effects of air conditioning on people? 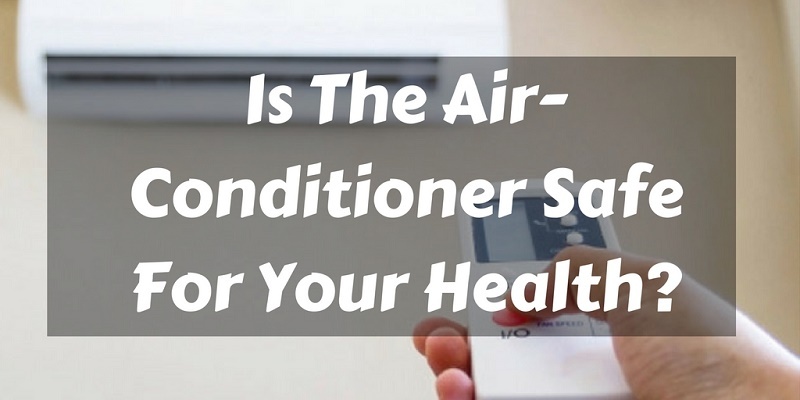 We study the harmful and dangerous effects on health, in addition to knowing some useful air conditioner effects to avoid getting sick because of AA. This article is not intended to scare anyone, we just want to explain and try to understand that the quality of the air circulating inside our house is important for our comfort and thermal comfort, and that the facilities we use for our comfort, in this case, focusing on how air conditioning affects the health of people , has an impact and negative consequences that should be known and respected. If you want to know in depth the world of the air conditioning, we have an extensive article on the classification of the systems of air conditioning in the building and its characteristics. Remember that studies have shown that people who spend more time in air-conditioned environments have greater use of health care services. What are the negative effects of air conditioning on people? It is known that dehydration rates are higher in rooms with air conditioning . Usually, we end up dehydrated if the air conditioner draws too much moisture into the room and we are not careful to moisturize. It happens when the temperature is set too low, we feel too cool to have the feeling of wanting to drink water. Another unfortunate side effect of air-conditioned spaces, especially if not adequately maintained, is their susceptibility to headaches and migraines when indoor air quality levels drop . You may also end up with a good headache if you are dehydrated as a result of being in a room or building for a long period. In fact, dehydration is a migraine trigger that is often overlooked. The respiratory symptoms affecting the eyes, nose and throat . Cold air can also affect the airway below the vocal cords and irritate the bronchial mucosa. They tend to appear much more in people who spend a lot of time exposed. These can include nasal obstruction, dry throat or even rhinitis. As found in an investigation , 28% of those in air-conditioned buildings experienced rhinitis, compared to only 5% of those in naturally ventilated buildings. About 35% of people living in air-conditioned spaces had nasal obstructions, compared to only 9% in buildings with natural ventilation. The air conditioning could worsen allergies and even asthma . While staying inside an air-conditioned space can be protective for some people who are sensitive to pollen or air pollutants, there are others who find themselves in a worsening situation. The maintenance and cleaning of air conditioning filters is important, otherwise we have the risk of exposing ourselves to a large number of triggers and microbes. It is advisable to change the filter every year (obviously we will have to see its use) or in each maintenance scheduled by the manufacturer. Although it is designed to encourage and refresh us in hot moments … it can have the opposite effect! Research indicates that people who live in buildings with air conditioning complain more than lethargy. In other words, it could be the culprit of his laziness and that inexplicable slowness. As a study was found, if you work in an air-conditioned building you are almost three times more likely to complain of lethargy than if you are in a naturally ventilated space. When summer comes, the excess of air conditioning combined with sun exposure can cause itching and dry skin . Although other symptoms may disappear within a few hours of leaving the building, getting rid of a dry skin problem is not that easy. Depending on the severity of the dryness, it could take us several days. Researchers actually have a name for the symptoms of health problems that are related to the building, it is called the ” sick building syndrome “. Although it is a condition that involves the entire building, it is amplified with the use of air conditioning (AA) since we circulate the same air through a space in a repetitive manner which means that it is increasingly likely that we inhale something unwanted. To understand the adverse effects on human health of the sick building we show a small infographic with the most frequent characteristics and symptoms so that we have knowledge of its importance. We can understand more about the health of buildings from this article where we inquire more. The dry eye can cause itching and irritation in the eyes . They can also “burn” or itch. Sometimes it can be so bad that the vision becomes a little blurred. And although this type of facility may not be a direct cause, it certainly helps. The problem seems to get worse when they spend long hours in an air-conditioned space. Because air conditioners dry the nasal passages , they can cause irritation to the mucous membranes and dry the mucus. In the absence of adequate protective mucus, we become more vulnerable to virus attack. In fact, notorious microbes such as the bacteria that cause legionellosis outbreaks, for example, thrive in artificial water supply systems, including those units and air conditioning systems. By changing the environment, those who go from a cold air to a hot one or vice versa, can provoke a vagal reaction. It is an exaggerated response of the autonomic nervous system, which manifests itself in a feeling of dizziness and sweating, they are generally subtle, but they can become very intense. The regulation mechanism of the body is very wise and when excess heat causes sweat naturally to cool and preserve the balance in body temperature, but before the air conditioning, the body can not adapt to the contrast of this artificially created environment . It is very important that the skin and muscles do not receive the direct jet of cold air , since our body reacts by causing a sudden muscle contraction that can cause us from torticollis to facial paralysis, in the most serious cases. The operating temperature must be maintained between 23 ºC and 26 ºC (24.5 ą 1.5 ºC) for summer and winter, between 20 ºC and 24 ºC (22 ± 2 ºC). If it is decided to use on summer nights, it is not recommended that the ambient temperature is below 25 ° C, the irritative effects of cold air on the respiratory mucous membranes could appear. The vertical difference in air temperature between 1.1 m and 0.1 m above the ground (level of the head and level of the ankles) should be less than 3 ºC. The speed limit of air conditioning currents will be 0.25 m / s.
The relative humidity should remain between 30% and 70% (more favorable between 45% and 65%). Adequate air renewal through natural ventilation is both the work spaces and the home. The flow of air should not be direct on people. Correct maintenance and cleaning of ventilation and air conditioning systems. (Check the filters every year or according to manufacturer’s instructions). A reduction of 5 ºC with respect to the exterior already provides a clear sensation of freshness. The great contrasts between exterior and interior are not good. A difference of more than 12º C in temperature with the outside is not healthy. Use of fans as a comfort option. The movement of air and the evaporation of moisture from our skin produces sensations of temperature decrease between 3 and 5º C.
As a curious fact, we have researched in some manuals to see what he tells us about the use of the devices and the tips to avoid getting sick from the cold air . Actually the indications are very brief, but we want to provide them so that we have knowledge. Remember that, although it does not affect our health, if to the pocket where we can achieve energy savings even higher than 30% by setting the cooling temperature at 26º C maximum. For every degree that we reduce this temperature, energy consumption increases 8%. How to change the shower faucet and handle? How to make a clothes rack from pvc pipe? Which household chore do Singaporeans hate most?